1.In glass, stir coconut milk and seeds; let stand 10 minutes. 2.Add banana, mango, pineapple juice, honey and coconut milk mixture to blender; purée until smooth. Makes about 3 cups. 3.Divide mixture into 2 serving bowls. 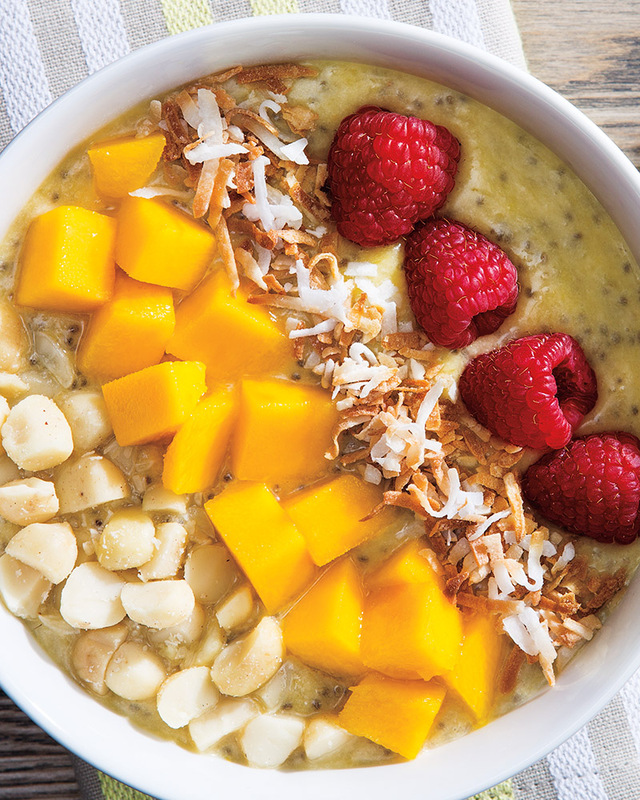 Top smoothies with chopped mango, coconut, nuts and/or raspberries, if desired. Use a rubber spatula to scrape the chia seed gel that has settled to the bottom of the glass into the blender. > For an extra nutritional punch, add flax seeds. Be sure to purchase or use ground flax seeds as the human body cannot digest whole flax seeds.